was able to meet Jill@Forever Cottage at this year's Junk Bonanza. 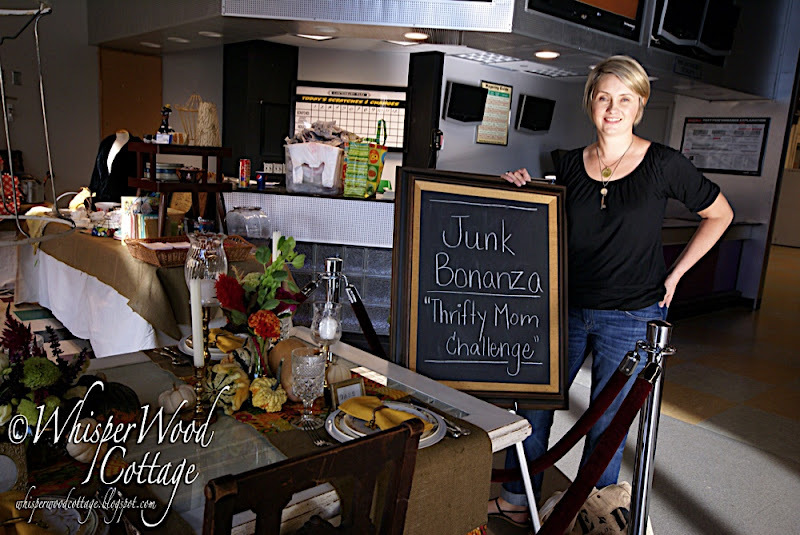 Jill was asked to participate in the Thrifty Mom Challenge. She did a fabulous job!! I think she even got on tv! Superstar!! (Does anyone else picture SNL character Mary Katherine Gallagher every time you hear that word? Laughing!! Okay, focus!) Here is how Jill described what the challenge is all about. Stunning, no? 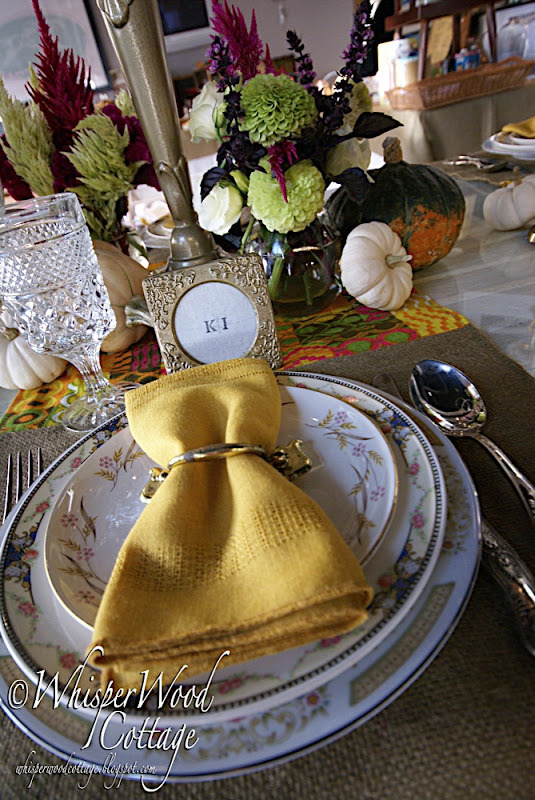 My favorite things were the table runners made from burlap and vintage fabric. 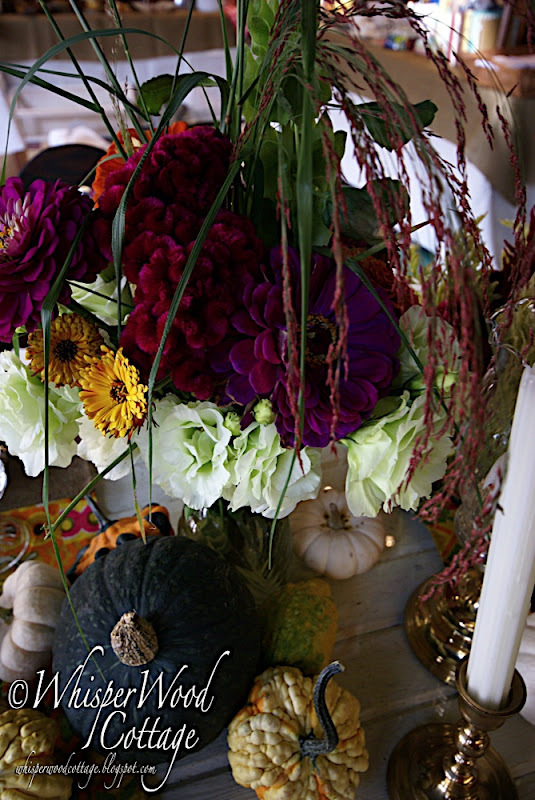 I also adore the floral centerpieces! Didn't she do a great job?! 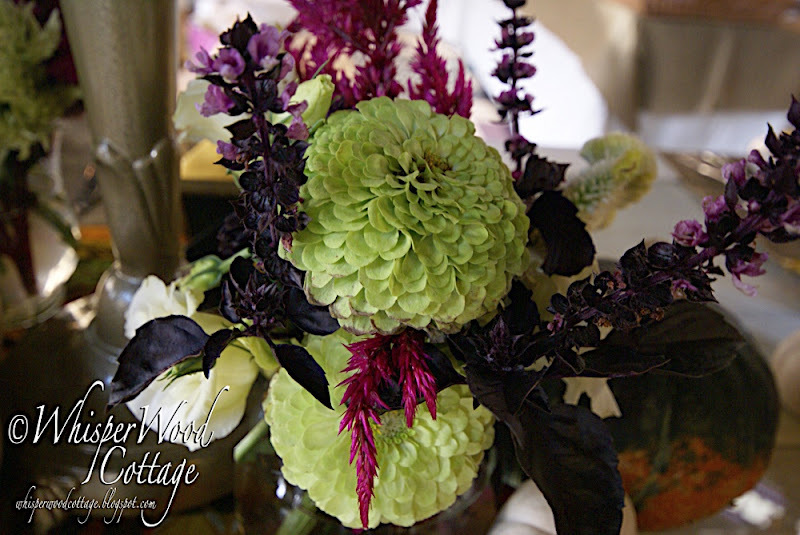 For more photos and details on the Thrifty Mom Challenge, visit Jill@Forever Cottage! What's up next? Eye candy for junkers! Photo after glorious photo!! Is your mouth watering yet? Your photos capture this so beautifully. I actually saw the Twin Cities Live show that they were on. Pretty cool! She did an awesome job on this. Thanks for doing the photos so I could see it "up close". Jaw dropping gorgeous! The photos are amazing and captured the color perfectly! Incredibly beautiful! I wish my table looked like that or even half as nice. I'm wiping the drool from my watering mouth ...you've done it again!!! !